The pictures below the article are from the NWA Legends Fanfest Convention that was held in Charlotte, N.C. this past weekend. 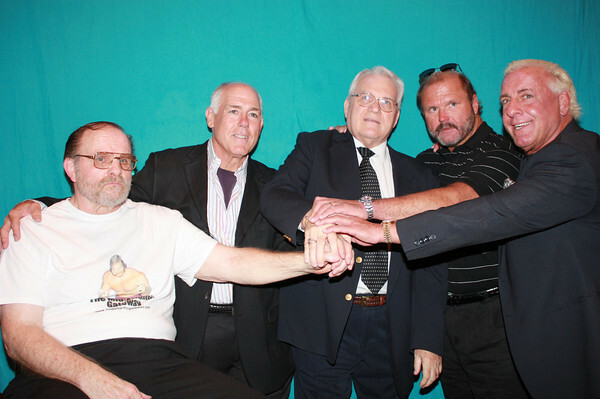 It was a historic event mainly due to the fact that it was the first time the Original Four Horsemen group has been together since 1986. Enjoy the pictures below and if anybody reading this attended the NWA Legends Fanfest Convention in Charlotte this past weekend would you please send me a e-mail at pdmjr26@aol.com to let me know who you are because I have some questions I need to ask all of you. To deprive a deserving Nature Boy of that chance, Race said, "wasn't an option." In fact, Race was so passionate in his praise of Flair that he called him the "greatest wrestler who's ever walked." That prompted a rare moment of silence from Flair, whose eyes welled up at the mention. After composing himself, Flair said, "I feel like I just got inducted into the Hall of Fame all over again. In my opinion the group below is not the most talented Four Horsemen group ever but it is the Original group and that is important especially being that until this past weekend this group hadn't been together in 23 years. 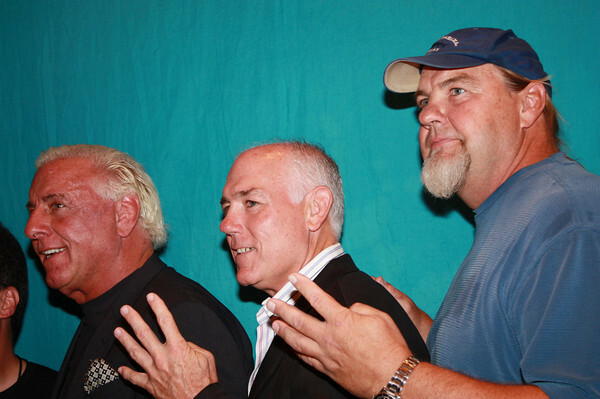 Here are the Original Four Horsemen group with the Great Barry Windham and Baby Doll. Am I the only one who thinks Ole looks uninterested and out of place? In my opinion the most talented Four Horsemen group in terms of pure wrestling talent was when Barry Windham was in the group. 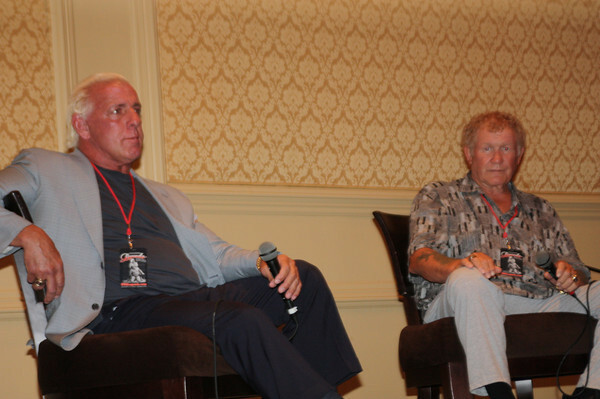 This is Ric Flair and the Legendary Harley Race during a Q and A Session Thursday, Aug. 6 at the Hilton University Place Hotel in Charlotte, N.C. at the NWA Legends Fanfest Convention. 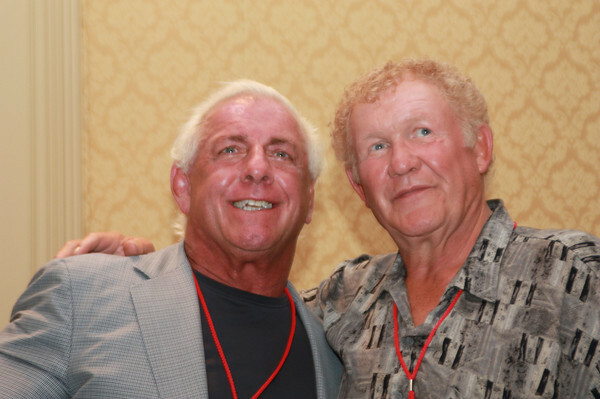 A Great Picture of Ric Flair and Harley Race, Flair once said that "Race" was the Toughest man he has ever been in the ring with.